Born in London, England in 1946, Archie Granot moved to Israel in 1967. Prior to settling in Jerusalem in 1978, he was a member of an agricultural community where he milked cows and grew melons. He has a M.Phil in Russian Studies from the University of Glasgow, Scotland and a B.A. in Political Science and Russian Studies from the Hebrew University, Jerusalem. 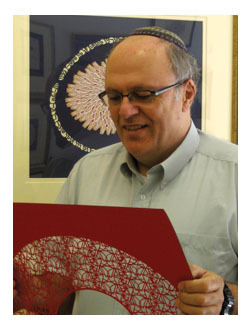 A self taught artist, Archie Granot made his first papercut in 1979 and has been creating paper art ever since. 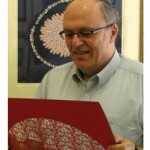 He has been creating ketubahs for over 30 years and his work is in public and private collections world wide. These include the Israel Museum, Jerusalem; the Jewish Museum, New York; the Jewish Theological Seminary, New York; the Library of Congress, Washington D.C; the Victoria and Albert Museum, London; Yeshivah University Museum, New York.